Founded by Markus Sigfridsson (guitars) and Tobias Enbert (drums) in 2000.Together with vocalist Herik Bath they persued a melodic, progressive musical direction. 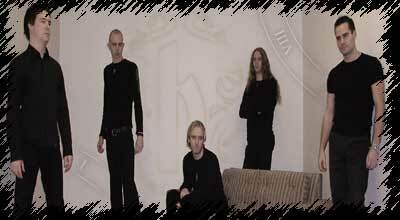 They recorded their first demo in 2001 which got them a deal with Germany's Massacre Records. By the time they began recording their debut album, they added bassist Markus Sigfridsson and keyboardist Magnus Homlberg, also a musical student and friend of singer Henrik. Markus was soon replaced with new bassist Andreas Olsson (Stormwind, Narnia, Wisdom Call) who joined after recommendations from Narnia singer Christian Liljegren. Harmony are melodic, dare I say "harmonic" progressive metal. However, unlike some of their contemporaries, they don't forsake memorable hooks for over technical song writing. While there certainly is plenty of stellar musicianship, blazing Yngwie inspired solos, and stop on a dime time changes, there is also plenty of melody. In other words, Harmony aren't afraid to use a riff in more than one part of a song. They also vary the tempo from song to song. While many bands of this ilk are concerned with pure speed, Harmony vary from song to song. "Eternity" & "Fall of Man" for instance proove that Harmony can hold their own with the fastest speed metal bands, but then the title track kicks into a perfect mid-paced groove. "Without You", on the other hand, is a beautiful ballad. This song is full of emotion, yet without sounding sappy and forced like some radio ready garbage. The keys and melodic soloing add a lot to this song as well. Intermixed with all this are some short instrumentals ("Into the Afterlife", "Fragile", "The Fall") that really pull the entire album together. Henrick Bath's vocals are smooth and rich, reminding me a bit of 70's prog rockers Kansas. I wouldn't doubt that bands like Kansas and ELP are probably major influences on this band. Lyrically, Harmony is quite poetic, and while lyrics are pretty open to interpretation, it seems Harmony focus on spiritual issues. Harmony is the perfect name for this band.